I like to participate in the weekly blog hop. It is easier to read the wonderful posts when they are listed in each participator’s entry instead of trying to catch-up through different on-line locations. The topics are relevant and I learn from each and every post. However this week’s question “what is normal?” is tough for me. I know I am a “normal” person, a member of the baby boomer generation, with three kids, and still married. Down syndrome is normal to me, as are college hunts, tennis and rural Colorado. These normals are easy, but there is another scary normal and I am conflicted about sharing. I am part of the 47%, as recently identified by an unnamed presidential candidate, of the population that does not pay income tax. This is not my CHOICE….I do not make enough money to pay income tax. My husband and I have had professional careers for the first 20 years of our married life. We had a nice house, our kids went to great schools, we took vacations and we had health insurance. In the last five years we have lost our jobs, our home, most of our belongings and our health insurance. We have also lost a lot of the intangibles, our pride in a job well done, or feeling of accomplishment and our confidence. It has been the hardest five years of my life. We are the 47% who are bringing down the world as we know it because we do not pay taxes. This is our normal. I have sent out hundreds of resumes, many of which were never acknowledged, and when an interview was granted, I never received any follow-up letting me know that another candidate was chosen. We have some income, based on the consulting work I do, and our families. My husband has started a new business, and we are very optimistic, but this all takes time. And of course, this causes havoc on any relationship and certainly mine. Almost every night I cry myself to sleep, wondering how we will pay the rent (our house was foreclosed on in April), or for that matter feed the kids. Yet every day I wake up with hope in my heart until the sun goes down, and the pattern is repeated. This is my normal. But our normal also includes Alex and the experience of knowing a person who always tries her hardest to fit in and succeed. Alex does not cry herself to sleep at night because she feels like she is a failure. Alex does not set false expectations on her family and friends, nor does she hold resentments because she feels the world has deserted her. Alex accepts life on life’s terms and she tries and tries and tries some more. And this is the normal that I try to live every day. This is the Christmas letter I did not write in 2011, published on this blog on December 26th, 2011. Every year for the last 30 something years I have sent out Christmas cards, and for at least 25 of those years I included “The Christmas letter.” I have always believed and still do believe my friends and family like to see the latest picture of the kids, as well as learn about our lives. I certainly enjoy updates and pictures, but this year it will not happen in our family. Perhaps I am being a grinch, or a scrooge, or perhaps I‘d rather spend the $400 on groceries. I have thought this over numerous times in the past three weeks and always come to the same conclusion, what I have to share cannot be explained in words. I cannot share that we went on a fabulous vacation this year, my plane fare budget was spent going to New Jersey three times in search of a job. Neither John nor I can share that we received big promotions at work, neither of us have a full time job. I was lucky to get some consulting work, but we pay for our own health insurance. We cannot say we bought a beautiful new home, instead we are lucky to still have a roof over our heads. As far as a wonderful new car, Alex and I were in a bad accident on the way to get Courtney at the Denver airport, we are lucky no one was seriously injured, and now we are down a car since mine is totaled. But these are not important things. What is important is what I learned this year about myself, my family and my friends. In the absence of a fulltime job I spent more time with my kids and my husband. I was able to feel their emotions, share their humor and respect the people they are becoming. I had time to dream for our futures and especially Alex’s. I had the opportunity to meet many incredible people who share my dream for an inclusive community and turned that vision into a not for profit, Valley Life for All. I learned that mothers worry no matter how old their children are, and in that worry a stronger relationship is built. I learned that sisters are supportive and kind, and only want the best for me and my family. I learned that my first friends are also my dearest, these women who have known me for forty years are the truest. I also learned I have one special aunt, who helped us when we most needed help. Most importantly I learned that although materialism is nice it is not necessary to maintaining happiness. If I were to write that Christmas letter I would share that I am beginning to become the person I want to be. This was not by design, it was by a recession that has taught me humility and resilience. I do not wish anyone to have to deal with the struggles we have had this year, to fear for their livelihood, and be told over and over again they are overqualified for positions. I do not wish anyone to cry the tears I cried this year, or be told they look gaunt and sick. The world is a crazy place these days, and even as I fear for our future, I rejoice in our lessons. In my letter I would vow to treat people as I would want to be treated. I will try never to make promises I cannot keep, never to tell someone I will help them and then disappoint them. I will never tell a friend I will help them find a job, or assume I am so important I can do that. I will try never to be selfish and put my needs before those of my loved ones. I vow to always donate a large portion of my income to help those in need, and to work as hard as I can to raise money for Valley Life for All. Yes, what occurred in our lives in 2011 cannot be written in a Christmas letter, it can only be lived in 2012. A new year, a new life and many more lessons to be learned and shared. I am grateful. And that is normal, and hopefully this normal will be different soon, as I am worn out and very very tired. Thanks Lisa - your words of encouragement are ALWAYS needed. Although our life is challenging we are not alone and I feel for the million other Americans who are in our predicament and feel no hope - we have hope. I am betting that 47% is close to 51% and that makes in the norm. Oh Gary I had no idea. Thank you for your honesty and willingness to share your life with us. 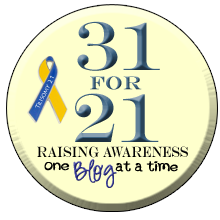 I so appreciate your blog and love reading about Alex and the amazing things she accomplishes! Thanks Cindy, yes Alex really does help me keep our lives in perspective..we are the lucky ones! Thanks Anna, it is nice to know that we have all connected through DS and in that I am lucky to have such a huge family! Thank you for your comfort in sharing. Best wishes in your husband's new business. Thanks April - yes we are still optimistic...learning from Alex everyday! 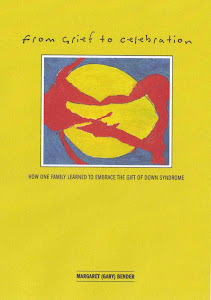 Thanks Rebecca....we are all strong in so many ways...and it is through our children that we have learned this - I am so thankful for the gift of down syndrome and what we have learned about life and the importance of strength - and a lot of people do not have this example in their lives. Gary, I knew times had been tough for you all, but I appreciate your fighting spirit and honesty. What a testimony of courage and strength. I love your honesty and I'm so happy you shared your story. I'm sorry things have been hard. I lost my job 5 years ago and could not find work, we made the decision for me to stay at home and although it's not always easy financially, I believe it was the right decision for us. Keep staying hopeful and things will get better.